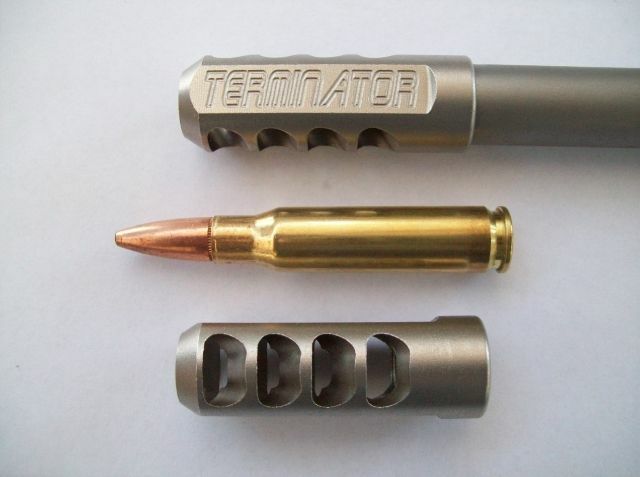 I have had a few requests for a muzzle brake smaller than the T2 Terminator for light weight, skinny barrelled rifles. I designed it with the .223 up to 7mm Rem Mag calibres in mind. It is 50mm, 1.971” long, 17.2 mm, 0.677” diameter & weighs 35 grams, 1.23 oz. 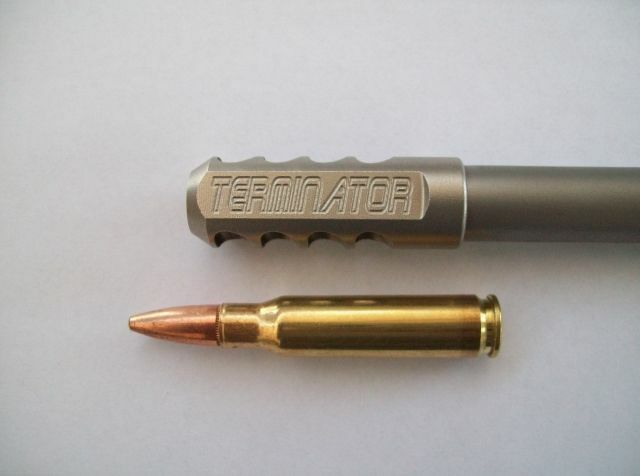 Here it is screwed on a Kimber Mountain Ascent barrel shown next to a 308 round. Available with 7/16 x 28 & 1/2 x 28 threads. I will do some comparison videos in the next week or three. Spanners, Philipo, veitnamcam and 3 others like this. Cheers. I am interested in one Vs a DPT over barrel in the new year. Here is a video comparing a T1 Terminator muzzle brake on a 300 Rum to a bare 7-08 & 243.